• Filtration Plant - Full Operation. The system’s water pressure is back to normal. The entire service area can now enjoy normal water pressure. For the past few days, the Taguibo River Watershed Forest Reserve has experienced rainy weather which has caused the Taguibo River to be very turbid. The turbidity level is very high which is above the Philippine National Standards for Drinking Water (PNSDW) acceptable levels. 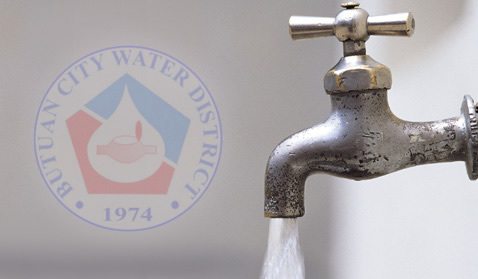 As such, during this situation, BCWD temporarily suspends the operation of the facilities at the source and the Filtration Plant causing the entire service area to experience low water pressure to waterless situation. BCWD would like to thank our concessionaires for their extraordinary efforts and support during the said period of water interruption. With our surface water source (Taguibo River) in better condition, the District is still encouraging concessionaires to store water to meet domestic needs in case BCWD will suspend the operations of the facilities at the source and at the Filtration Plant.